Home of Somerville's Most Unique Dining Experience, as well as Juliet Cafe and Romeo's At Juliet Gratuity free dining. Living Wages. Great food. Great jobs. Great company. The service was excellent and the food was inventive. The owner sent out extra dishes for us and even gave us a happy anniversary card - I haven't experienced such warm and tailored hospitality at a restaurant for a long time. My only complaint was that the first few dishes (the amuse and salad) were a little under-salted. That's certainly a matter of preference, but perhaps a "beach salt" could be passed at the table to fit with the theme. The rose-scented cookie was delightful. Dinner at Juliet's was outstanding! From the wonderful, high-quality, very fresh array of food, to the very knowledgeable yet very down-to-earth, friendly, and helpful employees, to the warm atmosphere, it was a fantastic evening. Highly recommended! We had a wonderful experience at Juliet. The food was amazing and the co-owners, wait staff, and kitchen staff welcomed us with open arms. We loved watching the food being prepared. We can't wait to return! We enjoyed every course of the meal! What a gem in the heart of Union Square! I elitism have known about it had it not been for Nift. We savored each and every course and loved that the flavors of each ingredient came through. The fish was flaky and one of the best fish I've had at a restaurant. Staff is knowledgeable and very friendly. We will definitely go back. Also, love their philosophy of sustainable wages and giving employees incentives from profits. Absolutely incredible meal and experience. The food is truly unique and insanely delicious. It was the best meal I've ever had, from beginning to end, and I can't wait to go back! A very unique, delicious and friendly restaurant. I so appreciate what they are trying to do as informed educators, social activists, and fun foodies. Great spot, great food, awesome people. Eat here! It was lovely! A great date night! LOVED everything! Food, service, atmosphere was fabulous! Only wish their menu showed up on my mobile phone. 2/3 is currently being cut off. And feedback for Nift...I can't click a number for whether I would recommend to a friend. It just won't highlight, but I would press 5! Wonderful, inventive food, and great service. I've already recommended it to lots of friends! A very different type of eating establishment - warm, welcoming, impeccable attention to detail in their delicious food preparation - very innovative and fun, lovely service. I will visit again for sure! A cute, trendy cafe and restaurant! It was busy when I got there, so I used my nift on pastry treats and a coffee - everything looked delicious and the staff was so helpful! Very good restaurant! I enjoyed most dishes, but there were one or two that were a tad bland. The menu is constantly changing, so I would be interested in going back and seeing what else they have. The service was amazing and the food was delicious! They seemed to be having a problem with flies, I had three flies go into my wine on two different occasions, but they were apologetic. Really great space and great food! Sat at the "kitchen counter" and had the opportunity to discuss the menu with the chef. Learned they have a Sunday night Italian style dinner which is so awesome!! Will definitely be going back ASAP. I enjoyed myself there. People there were welcoming and friendly! That made me want to return to the cafe again. This restaurant is one of my favorites. I loved our experience at Juliet. It was a delightful and sublimely beautiful meal and I'm so happy my husband and I had the chance to enjoy dinner at this restaurant. Without the Nift, I don't know that we'd have been able to check out their dinner service. It was a most lovely way to celebrate our 10 year anniversary. I can't say enough wonderful things about the deliciousness of the food or the exemplary service we receive. Will definitely go back again. The food was good, but a little bit higher than I would like, the experience was great nonetheless, it was entertaining to watch the chefs prepare everything in front of you! Juliet was wonderful. I purchased several pastries and a spiced iced roibous tea. The staff was lovely and the pastries delicious. I missed brunch, but the entrees looked fantastic, especially the fisherman's board. I will definitely go back to try brunch or dinner. Succulent food & stuff. Good times. The food here was not only delicious but beautifully presented. It was clear the chef took his time wih every course presented. Service is always relaxed and friendly. The sandwich was super tasty, well prepared and fresh. Nift gives me a reason to try restaurants and shops I might not otherwise seek out. 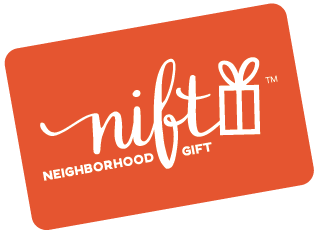 My Nift gift card to Juliet was an absolute delight! Used it for a pre- wedding weekend dinner, 5-courses with wine pairing. The dishes were excellent and imaginative. So glad Nift helped me find this fantastic restaurant- I'll definitely be back to Juliet. So fantastic! Never would have known Juliet existed without Nift. Definitely going back. Already texted 4 friends about it. Unreal meal from start to finish. And very accommodating to food allergy. Juliet is a neighborhood gem for the people in the Union Square area of Somerville and also a worthy destination restaurant for your special date-nights or other happy occasions. Every menu item is executed with finesse and expertise. Make sure to visit often and try all their three meal services throughout the day. Food and service was very good. Only complaint would be portion size. A little small. Great food, great service. Awesome time. We enjoyed this cafe and the options for breakfast. The vibe is very relaxed on weekday mornings and we enjoyed a relaxing but high quality meal. Lovely restaurant, creative and delicious food, and lovely staff! Delicious food, great for a date! Juliet was an absolute gem! Despite it being hectic during the prime saturday brunch time, the staff kept their cool and offered wonderful service. I loved that their prices included tip because that is always a potential point of stress when dining with friends. Lovely spot with delicious food and attractive presentation. I'll definitely be back! Very friendly and staff; good atmosphere; great food! Food was great! I got an omelet - Not mindblowing but simple and tasty. Loved the atmosphere and the staff were wonderful. We love that restaurant. The food is outstanding and the service is tremendous. Everyone is friendly, thoughtful, and talented at the restaurant. We look forward to our next visit! Juliet was great! Amazing service and food. The asparagus salad and cheese platters were top notch. Wonderful! The food, the ambiance, the service. It was an experience. Delicious food! Thank you Nift for letting me try Juliet's food. The flavor combinations were delightful and refreshing from the norm. I plan on coming back for sure! Delicious food and a lovely space! Menu is very innovative and once inside, one feels as though you're no longer in Somerville, but transported to some quaint European town. I love Juliet and was pleasantly surprised to get this as a Nift gift! Delicious brunch with great service. Thanks! The gift certificate was the perfect excuse to try this place out. Super cute, friendly staff, and good food! We will definitely go back. Perfect venue too for a small event! Such a simple and perfect menu. Thank you! Great tea. Food was alright (difficult to eat because ratio of meat to bread was too much). Great coupon. Juliet's was wonderful. Friendly service and a heart warming Sunday breakfast. I am probably not the true demographic for Juliet. The food choices were a bit too esoteric for me. I was happy to be Juliet's first Nifter! What a lovely little spot in Union Square, you can tell a lot of passion and energy went into the space and menu. Their breakfast sandwich was INCREDIBLE!